Here's a list of the top five mothers and daughters in old Hollywood films. 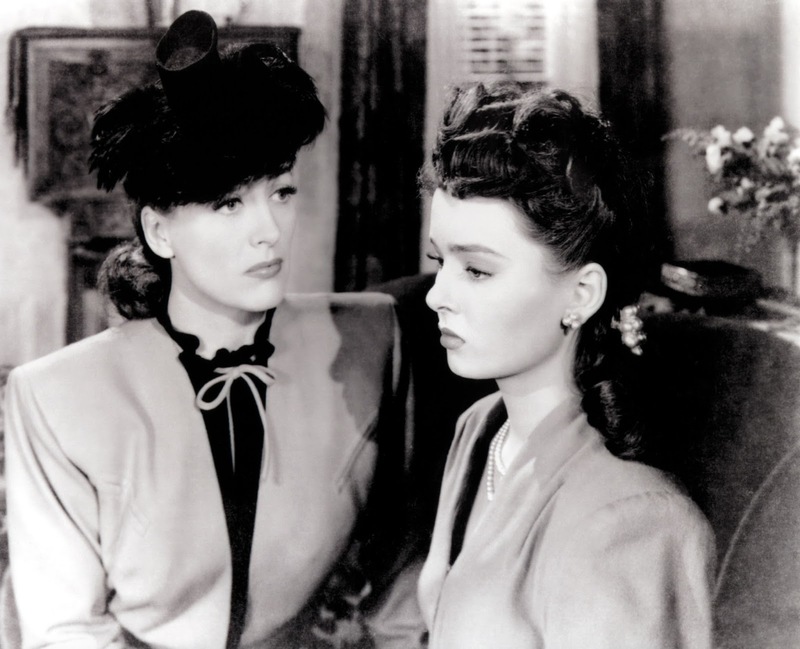 Joan Crawford and Ann Blyth in Mildred Pierce (1945) are on the list. 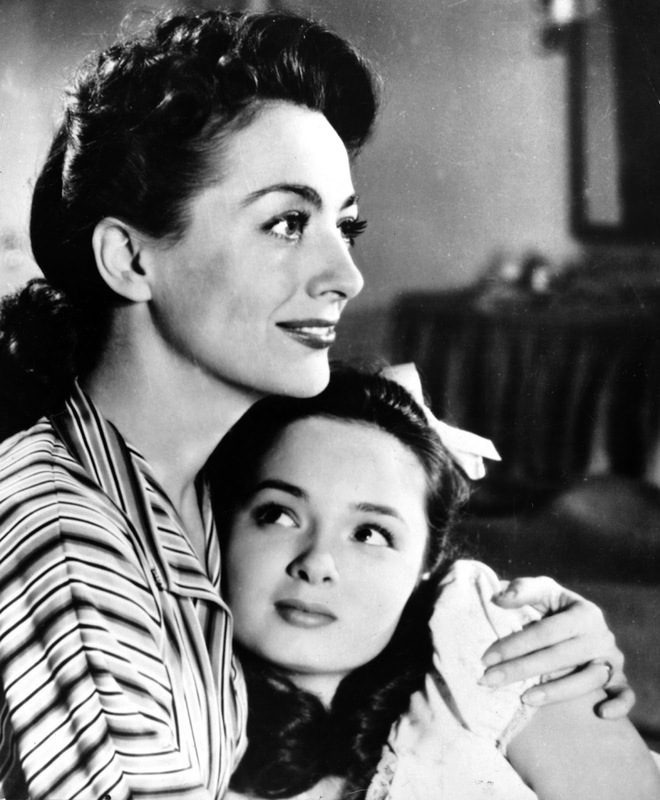 The bond between mother and child is a subject that old Hollywood movies explore again and again. The many films about mothers include heartwarming family dramas like I Remember Mama (1948), melodramas like both the 1934 and 1959 versions of Imitation of Life, and even horror movies; perhaps the most powerful parent-child relationship in all of cinema is that between Norman Bates and his dead mother in Psycho (1960). While there are certainly many great mother and son movies -- How Green Was My Valley (1941) and The Manchurian Candidate (1962) are two that come to mind -- today, I'm making a list of the top five old Hollywood films featuring mothers and daughters. This list eschews real-life performers such as Judy Garland and Liza Minnelli in favor of strictly onscreen relationships that explore the complex bond between female parents and their children. As always, all of the movies were made before 1970, and the highlighted text lead to full-length articles. The bond between the practical Mrs. Brown and her horse-crazy daughter is one of the most heartwarming relationships in old Hollywood movies. Mrs. Brown runs her small English household with no-nonsense efficiency while also nurturing the dreams of Velvet, who resembles her mother in looks and temperament. In fact, Mrs. Brown was an adventurer herself in her youth and she sacrifices her most precious possession so that her daughter can fulfill her own dreams of entering her horse in the Grand National Steeplechase. 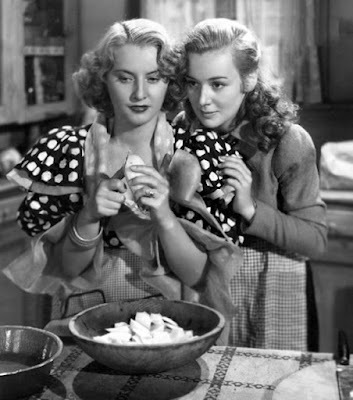 TCM at 5:45 p.m. March 27; video on demand; DVD. Landis and Kelly played mother and daughter twice (their first movie together was director Alfred Hitchcock's 1955 thriller, To Catch a Thief). In The Swan, Landis is a domineering royal mother who is determined that her beautiful daughter should win the hand of the eligible, but awkward Prince Albert (Alec Guinness). Landis' matrimonial machinations are mostly played for comedy, but underneath her dithering exterior, there is a devoted mother who genuinely wants what is best for her beloved child. video on demand; DVD. 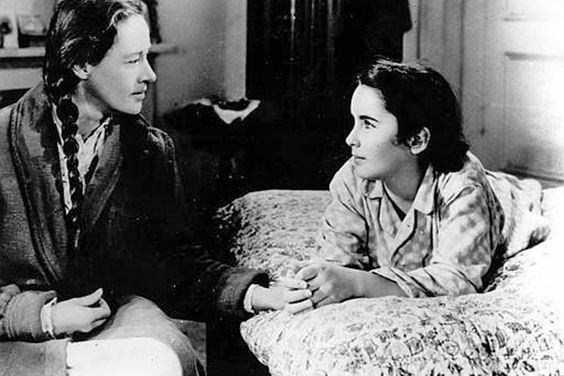 There's no more complicated parent-child relationship in old Hollywood films than that between repressed New England singleton Charlotte Vale and her domineering mother. 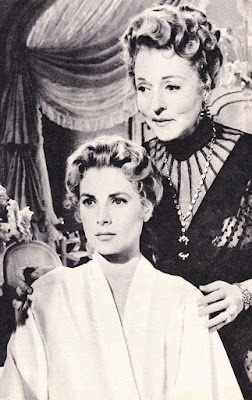 Mrs. Vale, who never wanted Charlotte, viciously poisons her mind and controls her actions until Charlotte is rescued by a kindly psychiatrist (Claude Rains) and the love of a married man (Paul Henreid). 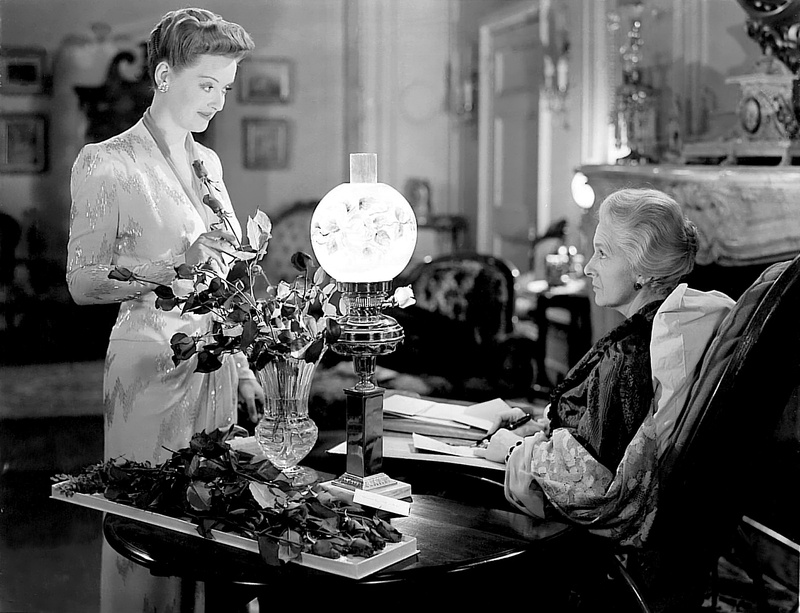 Now, Voyager is mostly remembered today for its romantic scenes between Davis and Henreid, but it is also a profound portrait of mother love, and how the lack of parental affection can scar both mother and child forever. TCM at 4:15 a.m. April 28; video on demand; DVD. Playwright William Shakespeare wrote in King Lear, "How sharper than a serpent's tooth it is to have a thankless child." Single mother Mildred Pierce learns this lesson in spades throughout the course of director Michael Curtiz's seminal noir. Mildred works her fingers to the bone building a chicken-and-waffles empire so she can give her spoiled eldest daughter, Veda, a fancy lifestyle, only to become the victim of Veda's scorn and betrayal. 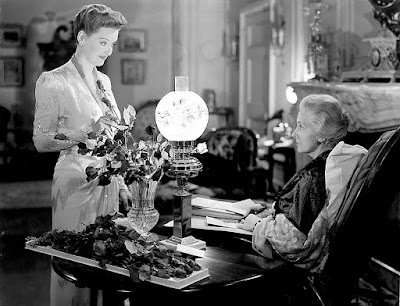 After watching this movie, you might agree with Mildred's best friend (Eve Arden) that "alligators have the right idea. They eat their young." TCM at 9:30 a.m. March 22 and 1:45 p.m. April 14; video on demand; Blu ray; DVD. Old Hollywood melodramas are rife with tales of sacrificial motherhood, but the grand-prize winner of the three-hankie sobfests is director King Vidor's classic woman's picture.The gauche Stella Dallas and her well-mannered daughter, Laurel, have a deep and nurturing bond, but as Laurel grows older she increasingly becomes embarrassed of her mother's fondness for loud outfits and low company. Stella makes a noble, although (at least in my opinion) unnecessary sacrifice to ensure her daughter's future that lead to one of the great final scenes in movie history. video on demand; DVD. Feel free to leave your picks in the comments section. Check out my list of top five old Hollywood cats here. A grand list and always watchable films. I will admit though that the Stella Dallas' sacrifice is, as you say, unnecessary and that has come to mar the film for me.